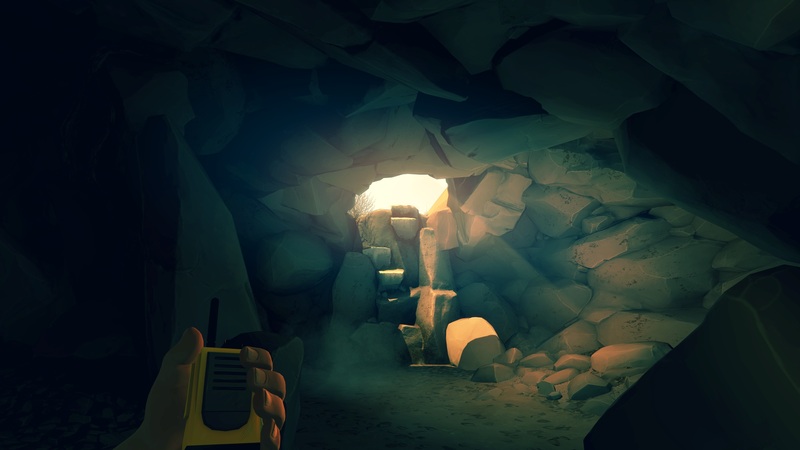 Developed by Campo Santo and published by Panic. Releasing on February 9, 2016. Available on PC (reviewed) and PS4. Review code provided by publisher. Nature is beautiful. Lush with trees, grass, and bushes, Shoshone National Forest is absolutely captivating. The days come and go like dreams, bringing with them an amazing array of colors, sounds, and sights, and there isn't a bit of the forest that doesn't have a breathtaking vista just over the next ridge. The Wyoming wilderness is rich and enveloping. All around, everything feels... Something; not necessarily a "something" that fits into words well. On examination, nothing about any individual tree, crack, cliff, or creek is particularly noteworthy. Looking at screenshots alone doesn't really capture its essence either. There's something about everything in motion, taken all at once rather than each piece at a time, that seems to congeal into the Something. You can explore the vast reaches of the Two Forks region entirely, and with the many cliffs and climbs between them, the space gives a great sense of being lost in nature. The sprawling environment is absolutely delightful, but enormous. Every checkpoint or mission goal is preceded by tens of minutes of hiking, climbing, navigating, and map checking. And no matter how far into the woods or out in the clearing you go, the Something is still there. The Something is always there. 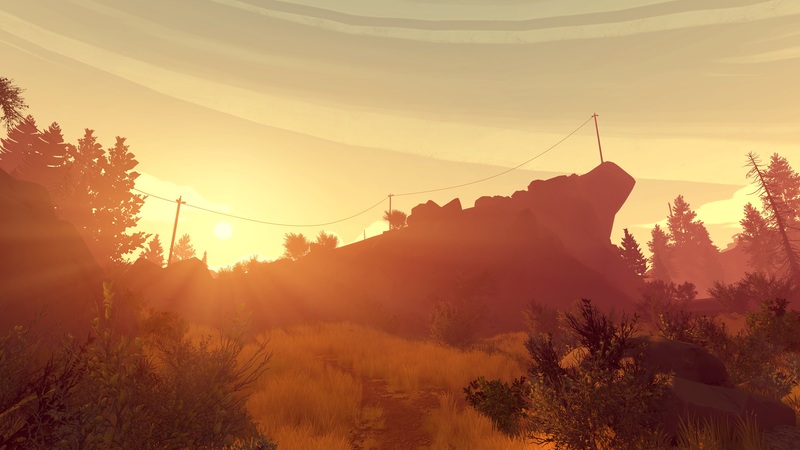 At its core, Firewatch is a drama. It's a story about Henry, a caring husband faced with several heartbreaking choices back to back. Unable to face the gravity of these choices, he accepts a job as a firewatch for the summer and leaves his troubles behind. 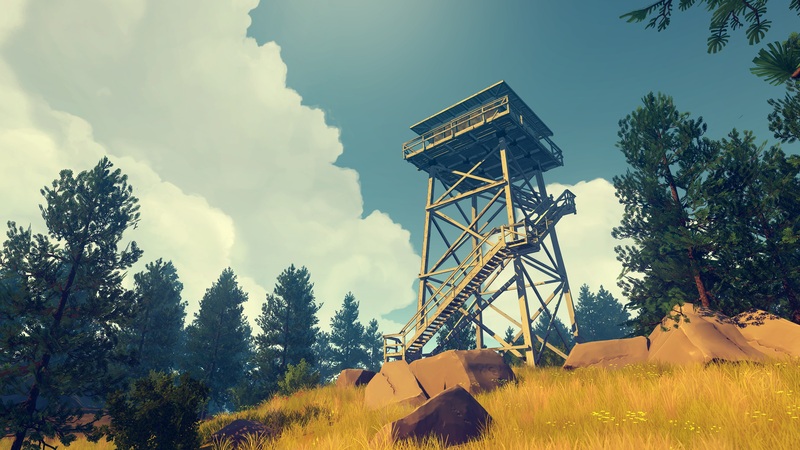 Firewatch is likewise a story about tension. Not quite horrific, but unnerving. 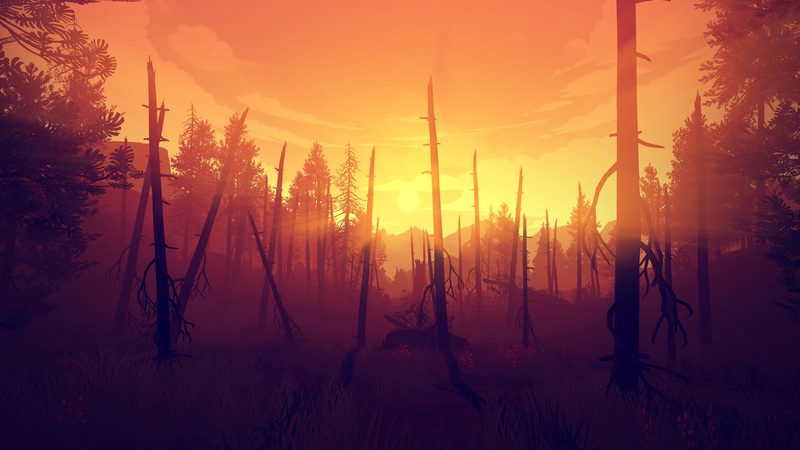 The early narration gives the context for the moments of Henry's life that lead to the Two Forks firewatch tower, as a string of text and tragic choices. 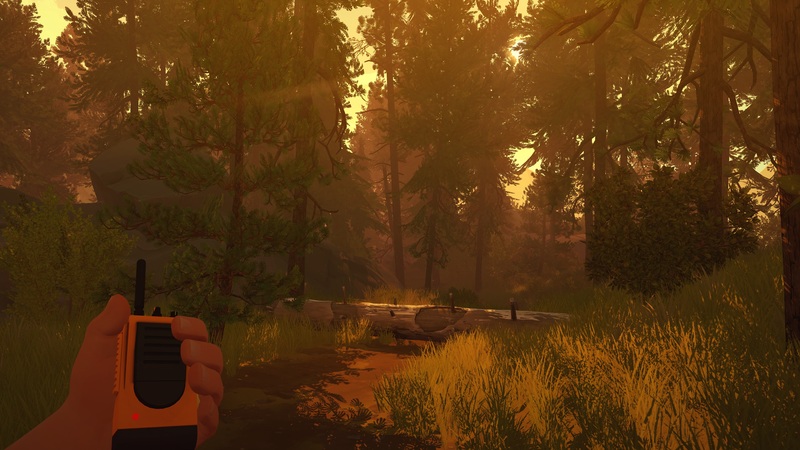 In those first fifteen minutes, Firewatch quickly unfolds into a rollercoaster of joy, tension, sadness, jubilation, hard choices, heartache, and uncertainty. All of the decisions Henry and the player have to make in these moments pulls another piece of Henry's life apart. There's a building unease to the choices, both highlighting the little laughters and relentlessly bring up excruciating decisions. By the time Henry arrives at his new life, his old one is almost entirely unraveled. Neither Henry nor the player are meant to arrive at the watch tower with a clean slate. Henry's only other contact with humanity is Delilah, a voice at the other end of his radio. She's a firewatch veteran, supervisor to other firewatch stations, and Henry's liaison to the outside world. She's also engaging - brash, playful, sociable, and charismatic. Henry and Delilah find a great deal of companionship through each other, trading jokes and giving a real feeling to their relationship, however distant. No matter how bad things get out in the woods, Delilah is unerringly human, which is a breath of much needed air compared to what is out in the thicket. The other individuals Henry encounters during his time in Two Forks feel significantly less human. They're only shadows, yelling from a distance or standing as silhouettes against the skyline. They feel very alien, giving no respite from the weirdness out in the forest. When they appear, they only complicate Henry's life. They appear and disappear in utter silence, just often enough to seem to haunt Henry's imagination and feed his paranoia, before disappearing again. These moments of despondent alienation are rarely framed with any humanity. The only noises out in nature, aside from the scarce voice through the radio, are the implications of distant creatures, the wind across the leaves, and the other haphazard sounds of nature. 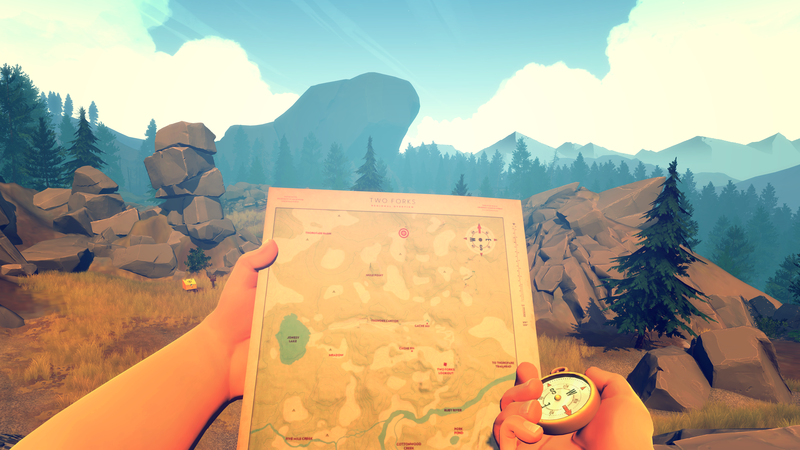 Instead of being idyllic, Firewatch feels like it's ready to pull the rug out from under Henry and Delilah both any second. Every decision, every possibility, every shadow, every line of dialog, may be when it all comes apart. It isn't strictly horrific, but the atmosphere is always worming its way under the skin. Every story beat builds isolation and inhumanity, separating Henry from any comfort he may have. There isn't much respite, and breaks from the unnerving disappear quickly when they do come. 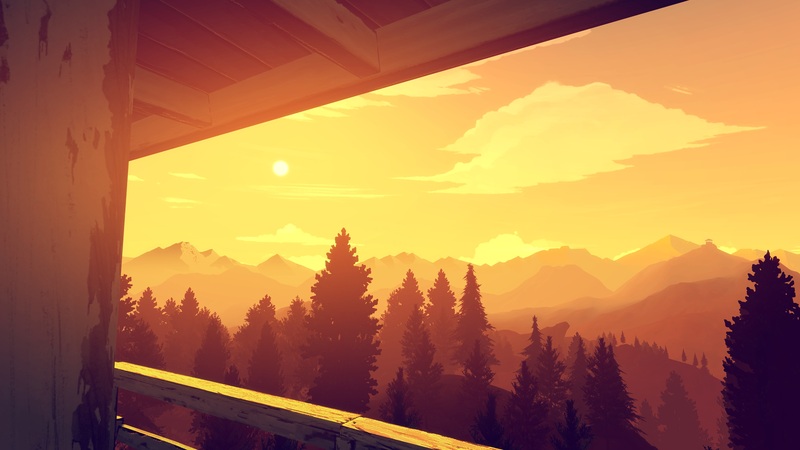 As a narrative, Firewatch is beautiful. It's twists and dark corners are a wonderful vehicle for anxiety, and provides astounding gravity to the plot. If it was just the story, it would be a near-perfect experience. 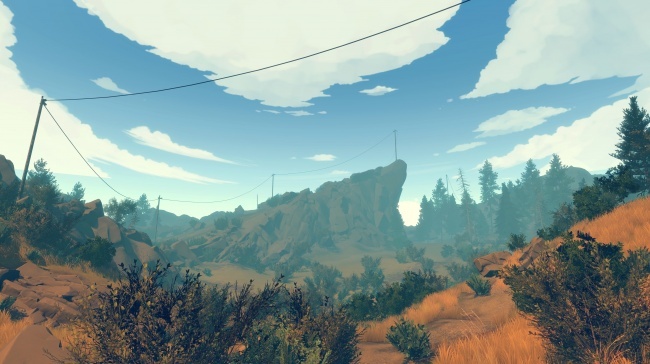 As a game however, Firewatch is too familiar. Although it uses travel mechanics to control the pace well, but they're a bit too slow at times. In dialog, Delilah's radio messages are largely one-way, only allowing for conversation when Delilah has something to say, or Henry is reporting something. There is a button to pick up the radio, but it's impotent without a narrative prompt. When Henry's prompted to speak, there's a sinking timer. There are two or three different dialog choices, but if you take too long, the radio conversation goes unanswered or skips to the next piece of story chatter. The dialog choices feel natural and impactful, but outside of when the story lets you, you lack agency. Exploring, though visually breathtaking, likewise feels fruitless. 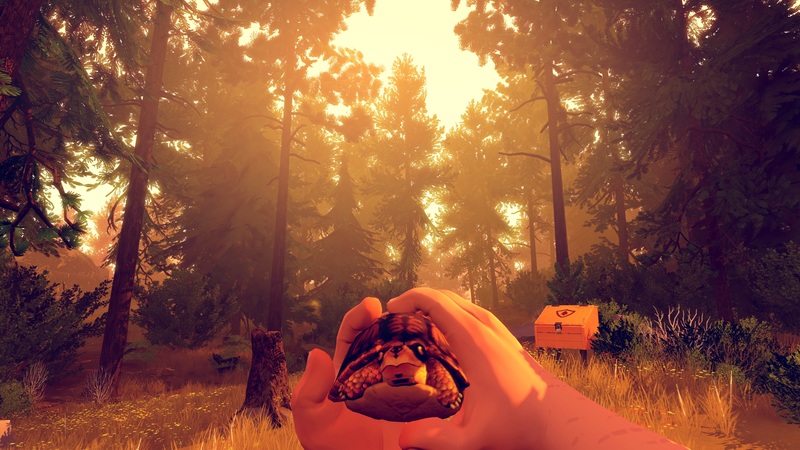 Supply caches are scattered throughout the woods, revealing unmapped pathways, and provide bits of narrative flavor, such as notes from past firewatch members, fliers, books, pinecones, or toilet paper. They add to the atmosphere, but it's the story is what drives things forward, everything you can do as a player is strictly mechanical. The only tangible benefit to exploration is a camera which lets you take pictures of the scenery, which is enjoyable and visually stimulating, but mentally absent. It's almost as if Firewatch knows that unless the story is moving forward, there's little value in the player having control, so it skips straight to the next story beat, often days or weeks later. The player will never, ever hike back at the end of the day. 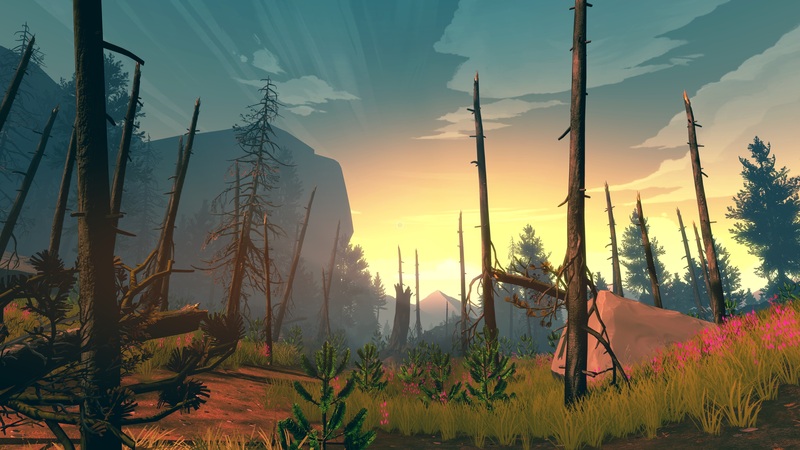 Without the story, there isn't a whole lot to Firewatch. The limited time making dialog choices help build up the strain, but they're nothing new for adventure games. The artwork is beautiful, and the detailing in the posters, the notes, the history, the background, and the scenery are all wonderful. The forest's size and lush greenery lend themselves perfectly to Firewatch's powerful but short-lived story, but feel lifeless without the story there to give them reason. Once it's over, the charm goes with it. Without it, Firewatch is pretty, empty. With the tension is gone, it's missing Something. 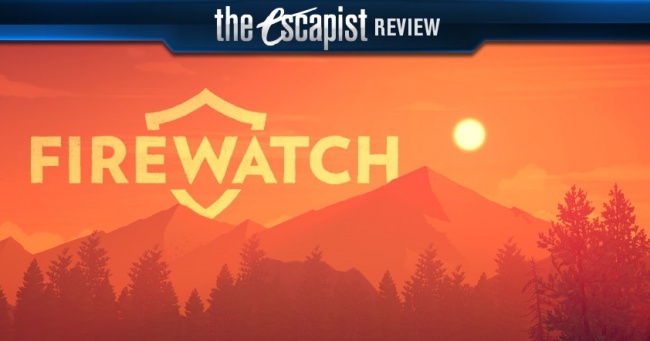 Bottom Line: Firewatch is an excellent, tense story, uncanny in spite its numerous beauties, and unmissable despite weaker mechanics. Recommendation: A wonderful choice for fans of the adventure genre, dramatic thrillers, or Telltale games, but not a great choice for players looking for action or a longer experience.